Friday, December 7 |Noon – 6:30 p.m.
Are the bright lights and loud sounds of the mall too overwhelming for your little one, yet you want them to have a magical holiday experience? At Treatment and Learning Centers’ Sensory-Friendly Holiday Event, your child can experience the joy of the December holidays in a controlled calm environment that will not overwhelm the senses. Children can explore one of 3 sensory motor gyms (aka “Winter Wonderlands” where they can play, make a craft, or meet with Santa, Elves, or the Hanukkah Dreidels for up to 30 minutes of fun. If your child is comfortable with having their picture taken, feel free to snap a picture with any of our characters to preserve the memory. 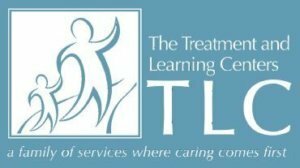 Your child will be supervised by an experienced TLC professional. There’s no charge for this event, but donations are welcome for TLC’s Caring Neighbor Fund that provides scholarships to those we serve.